Police at the Radnor Wawa where a woman was shot and killed Thursday. Police later tool a suspect into custody. Radnor Township, where the Blue Route bisects the Main Line, is a monument to three-car-garaged modern American affluenza that nevertheless clings to its ancient small-town traditions — its holiday parades with classic cars and flag-waving marching bands, and its sparkly annual Christmas tree lighting. It also has a murder problem. OK, to be clear, the Delaware County township of 31,000 mostly well-to-do souls has a murder problem with a giant asterisk next to it. In one sense, big cities like Philadelphia just 12 miles to the east would ... OK, not kill for, but covet a crime rate so low, in a community where cops still have enough time to check out your inspection sticker as you drive past. But after many years with few, if any, instances of the worst crime — homicide — Radnor has seen four murders in the last five years. Each scenario was different from the others, and uniquely tragic. But each also had three numbing facts in common. Each of the four killings stemmed from what could broadly be called a domestic situation. Each time, the weapon of choice was a gun. And in each case, the primary target was a woman. Stephanie Miller, victim in a fatal shooting at a Radnor Wawa store, Thursday, March 28, 2019. In January 2014, a 49-year-old man living about a half block from Radnor Middle School in a big old house with a white picket fence who reportedly feared his marriage “was in trouble” shot his wife to death in their pool house, then turned the gun on himself. Their 8-year-old son was inside the house at the time. In January 2018, police were called to home in Wayne where the mail was piling up and discovered that a 23-year-old man had shot his 50-year-old mother to death, and then used the weapon to kill himself. In May 2018, a 47-year-old woman despondent about her husband’s alleged new lover purchased a .357 Magnum, went through weapons training and tracked her spouse’s movements before deciding to confront the other woman by breaking into her Villanova home. She shot the 33-year-old woman and then — as in the other episodes — killed herself. 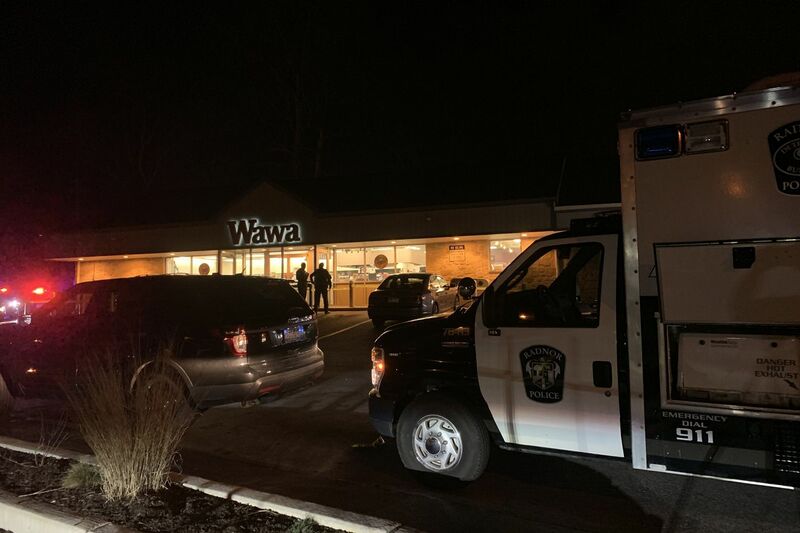 Last month, in the most recent case and perhaps the most publicized, a 34-year-old man who’d been quarreling with his ex-wife for years over custody of their 6-year-old son — resulting for a time in the woman’s order of protection — arranged to meet her in a Radnor Wawa convenience store and then used an AR-15 semiautomatic weapon to fatally shoot her in the head and torso. Like Radnor’s other murders of the 2010s, the man apparently meant to take his life — with a drug overdose — but failed. Unlike the others, he didn’t use a gun. OK, back to the giant asterisk. Why even discuss Radnor when Philadelphia’s murder rate has ticked back up to nearly one every day? Because without domestic violence against women, the murder rate in Radnor would be zero. And without domestic violence against women, the murder rate in the City of Brotherly Love and Sisterly Affection would be notably lower than it is. People embrace at the scene of the murder-suicide that claimed the life of veteran Philadelphia City Council staffer Linda Rios-Neuby on Friday. Violence against women is one U.S. social malady untouched by income inequality. Last August, when I wrote about the senseless shooting of Philadelphia City Council aide Linda Rios-Neuby by her estranged spouse, the city had lost 21 women to domestic-violence murders in less than eight months, which was a sharp increase from the year before. When we talk about common-sense measures to reduce gun violence in America, few things make more sense at this moment than protecting women from the sad storyline we’ve seen again and again, where threats, harassment and stalking escalate into physical violence. But there’s still a lot of men who think their right to a gun trumps a woman’s right to safety. In Washington, the National Rifle Association has chosen a particularly bizarre political hill to die on, throwing all of its considerable lobbying firepower into an effort to prevent Congress from re-authorizing the 1994 Violence Against Women Act. That’s because the version of the new law would expand the list of cases where authorities could take a gun from a domestic abuser, including boyfriends and girlfriends who don’t cohabitate, while also expanding the list of applicable crimes to include misdemeanor stalking. The NRA’s Baker’s argument that verbal threats aren’t violence probably would have been news to Stephanie Miller, the 37-year-old occupational therapist who was — and I’m not using air quotes here — gunned down in the same Wawa where her ex-husband had three year earlier whispered to her, “Get that [expletive] life insurance policy before I kill you.” Miller also told a judge she didn’t feel safe from the constant texts her ex was sending her in the middle of the night. Like many domestic violence killings, we’ll never know if different laws, or different reactions to the threats of an eventual gunman, would have changed the outcome. A protective order obtained by Miller had lapsed, allowing the alleged murderer to purchase his AR-15 legally. Of course, those of us who’ve been arguing for gun sanity in the United States wonder why it’s still legal for any everyday citizen to purchase an AR-15, the variation on a weapon of war that’s been the firearm of choice for mass killers from Las Vegas to Parkland to Christchurch, New Zealand. This week, lawmakers in New Zealand voted 119-1 to ban semi-automatic guns like the one used to kill Miller — a near unanimous cry for common sense that seems impossible in America. In Harrisburg, Goodman and other gun-safety advocates are lobbying hard this year for a “red flag” law that would allow for an extreme risk protection order (ERPO) so family members or law-enforcement could at least temporarily disarm someone deemed a threat to themselves or others. New Jersey and Delaware already have such a measure on the books. And last fall, Pennsylvania lawmakers did pass the state’s first gun-safety law in years, requiring those convicted of misdemeanor crimes of domestic violence or subject to final restraining orders to turn over their guns within 24 hours. But Goodman says she’s noticed that gun-rights groups in Pennsylvania, much like the NRA, seem to be hardening their stance in 2019. “Any new process where anyone may temporarily lose their gun rights is an existential threat to them,” Goodman fretted. That’s got to be balanced against the existential threat of the bullets that killed seven people — four by murder and three by suicide — in otherwise sleepy Radnor Township in just five years. There are a lot of outrageous things happening in this country right now, but the very real possibility that the NRA will bully the GOP-led Senate to allow protection for American women against violence to languish is near the top of the list. If we are incapable of taking actions that might save the next Stephanie Miller, Radnor’s murder problem becomes everyone’s problem.